To Fit: 9-5 2001 to 2010 all automatic transmission 4 cylinder petrol models (B205 B235) Not suitable for models with manual transmission. 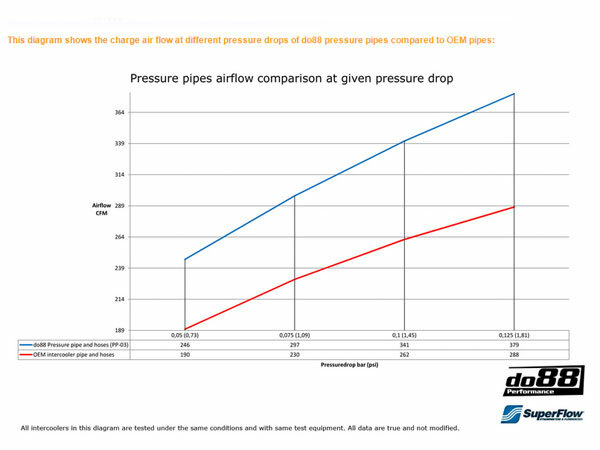 Air flow at 0.125 bar/1.81 psi pressure drop: 379CFM (288CFM), do88 is 32% higher (see enlarged image). Designed to handle much higher pressures and temperatures compared to OEM parts. 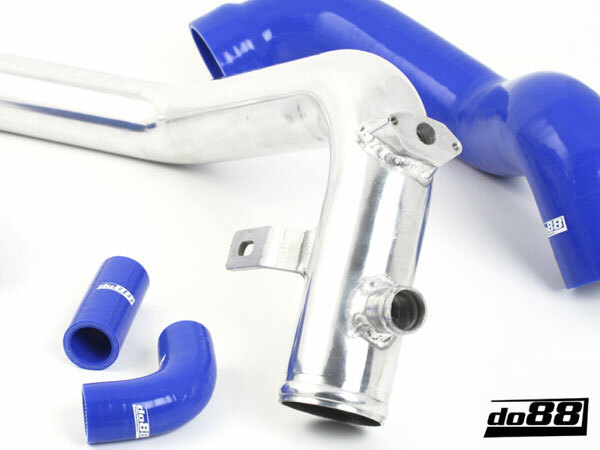 This 2.5" (63mm) Intercooler Pipe is made from high quality aluminium. 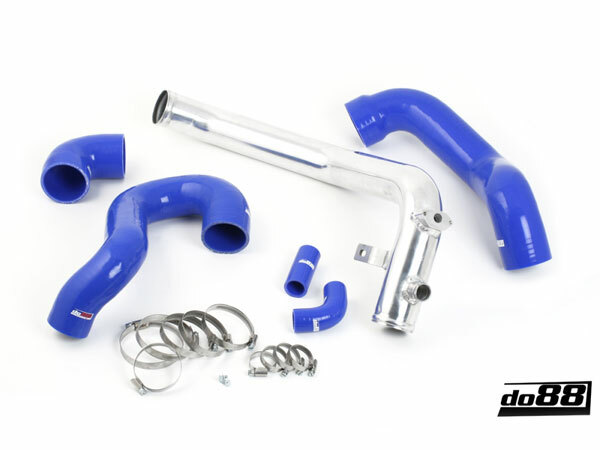 This is larger than the OEM pipe for improved air flow. CNC-machined sensor flange and mandrel bent pipe ensures perfect fitment. These hoses have 4 PLY reinforcement compared to OEM hoses that have 1 PLY reinforcement. Another great advantage of the do88.se Hoses is the silicone material withstands high temperatures for longer periods of time. 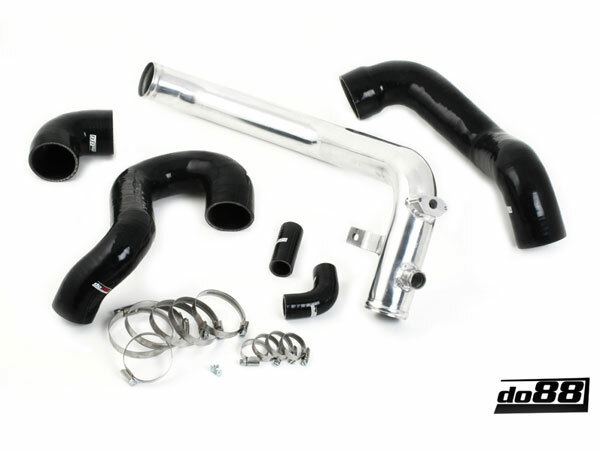 This makes the do88.se Intercooler Pipe Kit a terrific upgrade if your original hoses have started to crack from age. 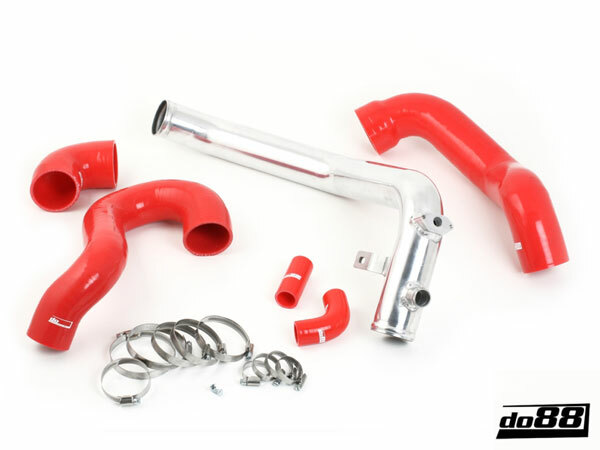 All parts are included to replace all OEM Intercooler Hoses and the Pipe. NB: Lead time prior to shipping is approx 5 working days.